Solar batteries are one of the most talked about subjects in the solar energy industry at the moment. The popularity around batteries has grown due to the number of solar system owners who are receiving little to no feed-in-tariff (credit) for their excess solar power generated during the day, and who’d like to be able to store this energy for use at night – when they’re forced to pay a high price for their electricity. At Solarbank we’re committed to providing high quality, affordable battery storage and charger solutions for our customers. In 2014 we exhibited one of the first lithium-ion home battery solutions to hit the Australian market at the Grand Designs Exhibition in Sydney. 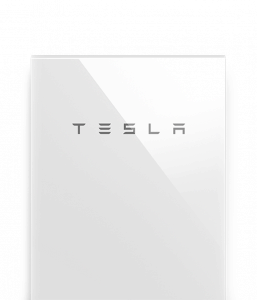 The German manufactured battery had a usable capacity of 4.5kWh and a price tag of around $13,000 installed. While the cost made it prohibitive, it was a turning point in the solar energy industry and was an example of what was to come. 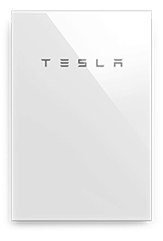 When Elon Musk released the Tesla Powerwall to the world in April 2015, the excitement around solar batteries grew from being only within the solar industry to the community at large. Just as Powerwall 1 was a game changer, Powerwall 2 has lifted the bar again putting powerful and efficient solar batteries within reach of even more Sydney homeowners. Lithium-ion solar batteries are rapidly reaching the point where they make economic sense to retrofit to existing solar systems or include as part of a new system. 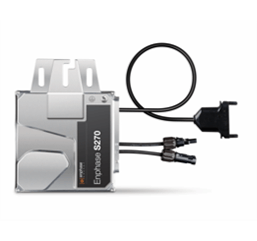 There are now a variety of extremely reputable manufacturers offering excellent solutions at compelling price points. We encourage our customers to be aware that in this emerging new market, filled with opportunity, there are many new battery systems we wouldn’t recommend due to improper testing and inadequate design considerations. 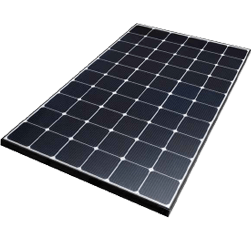 We value our brand and our customers, and we’ll only ever recommend the best products available, which is why we only offer the top solar battery systems. 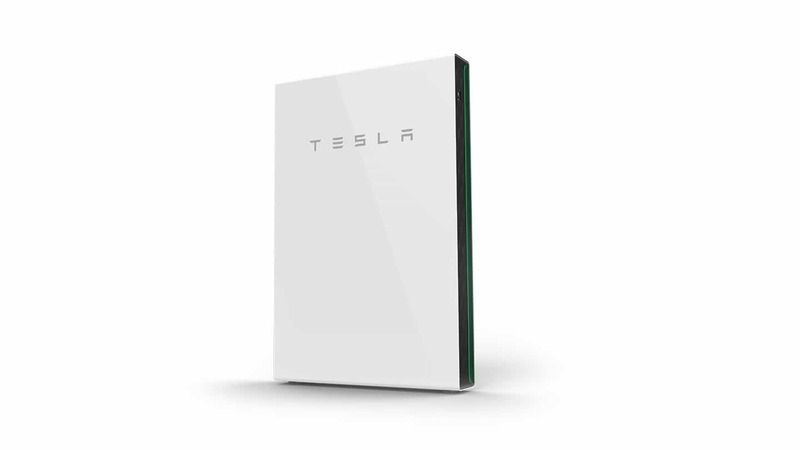 The Powerwall is a home battery system that turns your home’s solar panels into an all day resource – increasing self-consumption of solar – while also offering emergency backup in the event of an outage. Powerwall 2 enables more of your home’s electricity to come from solar, which enhances solar functionality, and reduces energy costs. When solar panels produce more power than a home needs, the excess solar is sent back to the grid. Powerwall 2 enables a homeowner instead to capture and store excess solar energy produced during the day for use at night. The result is greater self-consumption of solar generation and reduced energy costs. LG Chem began mass-producing lithium-ion batteries back in 1999 and was the first to do so in South Korea. They’re now a world leader in the lithium-ion battery market and dominate the automotive and energy storage system battery markets, supplying companies such as Mercedes, BMW and Audi. The LG Chem battery is compact and lightweight, offers impressive round trip efficiency, has a high cycle life, and comes with a 10-year guarantee. 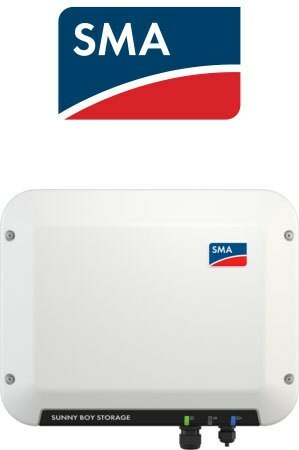 The Sunny Boy Storage battery inverter from SMA has been designed in partnership with LG Chem, and together they offer an excellent energy storage solution as a retrofit or as part of a new system. 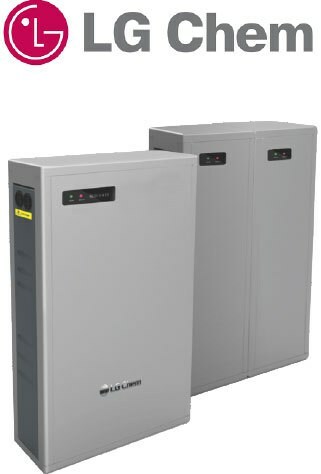 The SMA Sunny Boy Storage inverter is designed to be coupled with high-voltage batteries from reputable manufacturers. 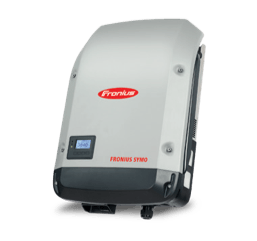 The inverter has a charge and discharge power of 2.5 kW, making it a leading choice to cope with the electricity demands of most private households. Thanks to its AC coupling design, the battery inverter can be installed in any location and is suited to both new and existing solar systems. With inbuilt Wi-Fi monitoring and an integrated intelligent battery management system, the Sunny Boy Storage is the perfect choice for putting more sun into your home’s electricity supply. The 24 hours of sun Energy Package is the Fronius vision of how energy will be supplied in the coming decades (and ours at Solarbank too!). 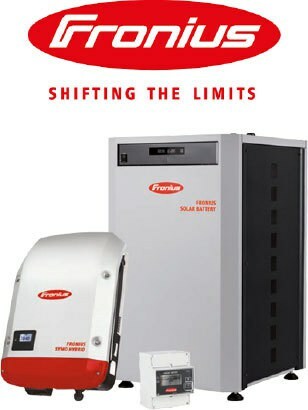 The Fronius Hybrid inverter is the heart of the storage solution giving you 24 hours of sun. With an emergency power function included, your household can enjoy backup electricity supply even during power outages. Your system and battery status is perfectly visible through the built-in WiFi and Solar.web application. This DC coupled system guarantees maximum efficiency of the overall system.